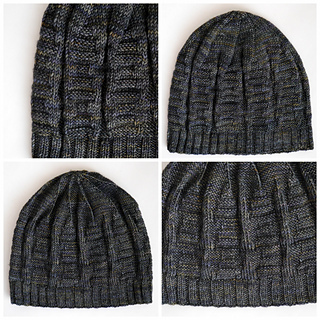 Port & Starboard is a reversible beanie in three sizes. The geometric pattern makes it interesting on either side, and makes a perfect, quick gift for that hard-to-knit-for person in your life. Use a solid or mild tonal yarn with good stitch definition for best results. Introductory discount: 25% now through Friday, March 10th. No coupon code required!